Zolpidem is a prescription medication used for the short-term treatment of insomnia, as well as some brain disorders. It is a short-acting nonbenzodiazepine hypnotic that potentiates gamma-aminobutyric acid (GABA), an inhibitory neurotransmitter, by binding to benzodiazepine receptors which are located on the gamma-aminobutyric acid receptors. It works quickly (usually within 15 minutes) and has a short half-life (2-3 hours). Some trade names of zolpidem are Ambien, Stilnox, Stilnoct, Hypnogen, Zolt, Zolfresh, Nimadorm, Sanval, and Myslee. 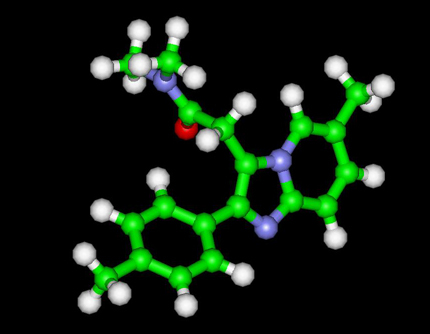 Its hypnotic effects are similar to those of the benzodiazepine class of drugs, but it is molecularly distinct from the classical benzodiazepine molecule and is actually classified as an imidazopyridine. Flumazenil, a benzodiazepine receptor antagonist, which is used for benzodiazepine overdose, can also reverse zolpidem's sedative/hypnotic effects. As an anticonvulsant and muscle relaxant, the beneficial effects start to emerge at 10 and 20 times the dose required for sedation, respectively. For that reason, it has never been approved for either muscle relaxation or seizure prevention. Such drastically increased doses are more inclined to induce one or more negative side effects, including hallucinations and/or amnesia. The patent 4382938 in the United States on zolpidem was held by the French pharmaceutical corporation Sanofi-Aventis. On April 23, 2007 the U.S. FDA approved 13 generic versions of zolpidem tartrate. Zolpidem is available from several generic manufacturers in the UK, as generic from Sandoz in South Africa, as well as from other manufacturers such as ratiopharm. 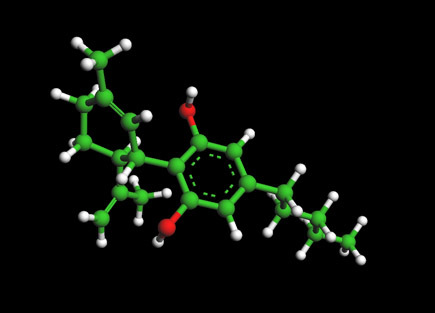 Recently, zolpidem has been cited in various medical reports mainly in the United Kingdom as waking persistent vegetative state (PVS) patients, and dramatically improving the conditions of people with brain injuries. Zolpidem binds with high affinity to the Î±1 containing GABAA receptors, about 10-fold lower affinity for those containing the Î±2, Î±3-GABAA receptor subunits, and with no appreciable affinity for Î±5 subunit containing receptors.Like the vast majority of benzodiazepine like molecules, zolpidem has no affinity for Î±4 and Î±6 subunit containing receptors. Zolpidem positively modulates GABAA receptors, probably by increasing the GABAa receptor complexes apparent affinity for GABA, without effect desensitization, or peak current. Zolpidem increases slow wave sleep and caused no effect on stage 2 sleep in laboratory tests.A meta-analysis of the randomised controlled clinical trials which compared benzodiazepines against Z drugs has shown that there are few consistent differences between zolpidem and benzodiazepines in terms of sleep onset latency, total sleep duration, number of awakenings, quality of sleep, adverse events, tolerance, rebound insomnia and daytime alertness. Zolpidem has recently been very strongly related to certain instances of patients in a minimally conscious coma state being brought to a fully conscious state. While it was initially given to these supposed permanent coma patients to put them to sleep, it actually brought them to a fully conscious state in which they were capable of communicating and interacting for the first time in years. CAT scans have shown that the use of the drug actually does dramatically increase the activity in the frontal lobe of the brain in some patients in a minimally conscious state. Large scale studies are currently being done to see if it has the same universal effect on all or most patients in a minimally conscious state. Alcohol has cross tolerance with GABAa receptor positive modulators such as the benzodiazepines and the nonbenzodiazepine drugs. For this reason alcoholics or recovering alcoholics may be at increased risk of physical dependency on zolpidem. Also, alcoholics and drug abusers may be at increased risk of abusing and or becoming psychologically dependent on zolpidem. Zolpidem should be avoided in those with a history of Alcoholism, drug misuse (illicit or prescription misuse), or in those with history of physical dependency or psychological dependency on sedative-hypnotic drugs. Overdose of zolpidem may present with excessive sedation, pin-point pupils, depressed respiratory function, which may progress to coma and possibly death. Zolpidem combined with alcohol, opiates or other CNS depressants may be even more likely to lead to fatal overdoses. Zolpidem overdosage can be treated with the benzodiazepine receptor antagonist flumazenil which displaces zolpidem from its binding site the benzodiazepine receptor and therefore rapidly reverses the effects of zolpidem. Some users take zolpidem recreationally for these side effects. However, it may be less common than benzodiazepine abuse. In the United States, recreational use may be less common than in countries where the drug is available as a less expensive generic (or in countries, such as the UK, where prescriptions are free or heavily subsidised). It is not yet known whether there is a link between the cost and availability of zolpidem and the level at which it is abused. Zolpidem can become addictive if taken for extended periods of time, due to dependence on its ability to put one to sleep or to the euphoria it can sometimes produce. Like most addictive drugs, a tolerance in the zolpidem user develops and increases all the more quickly the longer the user has been regularly taking it. Under the influence of the drug it is common to take more zolpidem than is necessary due to either forgetting that one has already taken a pill (elderly users are particularly at risk here), or knowingly taking more than the prescribed dosage. Users with a predilection for abuse are advised to keep additional zolpidem in a safe place that is unlikely to be remembered or accessed while intoxicated to avoid this risk. A trustworthy friend or relative is the best defense if such people are available; otherwise, a box or cupboard locked with a combination padlock is a good defense against this tendency, as the above-mentioned side-effects can easily prevent a user from operating such a lock while under the drug's influence. The recent release of Ambien CR (zolpidem tartrate extended release) in the United States renewed interest in the drug among recreational drug users. Before a user becomes fully acclimated to these effects (or if the user does not become acclimated), these symptoms can be severe enough to be deemed as drug-induced psychosis. Incidentally, antipsychotics like ziprasidone (Geodon) or quetiapine (Seroquel) may be prescribed alongside zolpidem to both combat these side effects and to aid in sleep-induction, as both of them contain mild hypnotic properties. However, because some antidepressants are known for being mildly sedating (i.e., paroxetine), it may be inadvisable to use zolpidem and an antidepressant simultaneously. Some zolpidem users (especially those suffering from chronic insomnia), however, commonly use these drug combination due to the relative ease with which the user gains no benefit from one or the others of these drugs, while both together can assist sufferers of insomnia in getting to sleep. Some users have reported unexplained sleepwalking while using zolpidem, and a few have reported driving, binge eating, sleep talking, and performing other daily tasks while sleeping. The sleepwalker can sometimes perform these tasks as normally as they might if they were awake. They can sometimes carry on complex conversations and respond appropriately to questions or statements so much so that the observer may believe the sleepwalker to be awake. This is similar to, but unlike typical sleep talking, which can usually be identified easily and is characterised by incoherent speech that often has no relevance to the situation or that is so disorganised as to be completely unintelligible. These statements bear a strong resemblance to that of schizophasia, one of many symptoms commonly seen in individuals suffering from schizophrenia. A person under the influence of this medication may seem fully aware of their environment even though they are still asleep. This can bring about concerns for the safety of the sleepwalker and others. Driving while under the drug's influence is generally considered several orders of magnitude more dangerous than the average drunk driver, due to the diminished motor controls and delusions that may affect the user. It is unclear if the drug is responsible for the behavior, but a class-action lawsuit was filed against Sanofi-Aventis in March 2006 on behalf of those who reported symptoms. Residual 'hangover' effects such as sleepiness, impaired psychomotor and cognitive after nighttime administration may persist into the next day which may impair the ability of users to drive safely, increase risks of falls and hip fractures. Lemmer B (2007). "The sleep-wake cycle and sleeping pills". Physiol. Behav. 90 (2-3): 285â€“93. doi:10.1016/j.physbeh.2006.09.006. PMID 17049955. Ambien.com (2004). AMBIENÂ® Prescribing Information. Information About a Short-term Treatment for Insomnia - Ambien.com Home Page for Health-care Professionals. Sanofi-Synthelabo Inc. New York, NY 10016.
sanofi-aventis : Drugs and Products - CNS - StilnoxÂ®/AmbienÂ®/MysleeÂ® (2006-11-07). Depoortere H, Zivkovic B, Lloyd KG, Sanger DJ, Perrault G, Langer SZ, Bartholini G (1986). "Zolpidem, a novel nonbenzodiazepine hypnotic. I. Neuropharmacological and behavioral effects". J. Pharmacol. Exp. Ther. 237 (2): 649-58. PMID 2871178. Clauss RP, GÃ¼ldenpfennig WM, Nel HW, Sathekge MM, Venkannagari RR (2000). "Extraordinary arousal from semi-comatose state on zolpidem. A case report". S. Afr. Med. J. 90 (1): 68-72. PMID 10721397. "Pill 'reverses' vegetative state", BBC, 2006-05-23. Pidd, Helen. "Reborn", the Guardian, 2006-09-12. "Judge rejects right-to-die plea by family", The Guardian, 2006-11-20. Childs, Dan. "Could a Sleeping Pill 'Wake Up' Coma Patients? ", ABC News. Schlich D, L'Heritier C, Coquelin JP, Attali P, Kryrein HJ (1991). "Long-term treatment of insomnia with zolpidem: a multicentre general practitioner study of 107 patients". J. Int. Med. Res. 19 (3): 271-9. PMID 1670039. Maarek L, Cramer P, Attali P, Coquelin JP, Morselli PL (1992). "The safety and efficacy of zolpidem in insomniac patients: a long-term open study in general practice". J. Int. Med. Res. 20 (2): 162-70. PMID 1521672. Kummer J, Guendel L, Linden J, Eich FX, Attali P, Coquelin JP, Kyrein HJ (1993). "Long-term polysomnographic study of the efficacy and safety of zolpidem in elderly psychiatric in-patients with insomnia". J. Int. Med. Res. 21 (4): 171-84. PMID 8112475. Caldwell JA, Caldwell JL (2005). "Fatigue in military aviation: an overview of US military-approved pharmacological countermeasures". Aviation, space, and environmental medicine 76 (7 Suppl): C39â€“51. PMID 16018329. "Pill 'reverses' vegetative state" BBC News, 23 May 2006. Pritchett DB, Seeburg PH (1990). "Gamma-aminobutyric acidA receptor alpha 5-subunit creates novel type II benzodiazepine receptor pharmacology". J. Neurochem. 54 (5): 1802â€“4. doi:10.1111/j.1471-4159.1990.tb01237.x. PMID 2157817. Wafford KA, Thompson SA, Thomas D, Sikela J, Wilcox AS, Whiting PJ (1996). "Functional characterization of human gamma-aminobutyric acidA receptors containing the alpha 4 subunit". Mol. Pharmacol. 50 (3): 670-8. PMID 8794909. Perrais D, Ropert N (1999). "Effect of zolpidem on miniature IPSCs and occupancy of postsynaptic GABAA receptors in central synapses". J. Neurosci. 19 (2): 578-“88. PMID 9880578. Noguchi H, Kitazumi K, Mori M, Shiba T (2004). "Electroencephalographic properties of zaleplon, a non-benzodiazepine sedative/hypnotic, in rats". J. Pharmacol. Sci. 94 (3): 246â€“51. doi:10.1254/jphs.94.246. PMID 15037809. DÃndar Y, Dodd S, Strobl J, Boland A, Dickson R, Walley T (2004). "Comparative efficacy of newer hypnotic drugs for the short-term management of insomnia: a systematic review and meta-analysis". Human psychopharmacology 19 (5): 305-22. doi:10.1002/hup.594. PMID 15252823. Dziedzic, Jessica (2007). "Minimally Conscious Patient Makes Strides Following Deep Brain Stimulation". Neurology Reviews. Erowid.org. Erowid Experience Vaults: Pharms - Zolpidem (also Ambien) Main Index. Cuba‚WJ, Landowski J (2007). "Seizure following sudden zolpidem withdrawal". Prog. Neuropsychopharmacol. Biol. Psychiatry 31 (2): 539â€“40. doi:10.1016/j.pnpbp.2006.07.009. PMID 16950552. Jones AW, Holmgren A, Kugelberg FC (2007). "Concentrations of scheduled prescription drugs in blood of impaired drivers: considerations for interpreting the results". Therapeutic drug monitoring 29 (2): 248-60. doi:10.1097/FTD.0b013e31803d3c04. PMID 17417081. Lheureux P, Debailleul G, De Witte O, Askenasi R (1990). "Zolpidem intoxication mimicking narcotic overdose: response to flumazenil". Human & experimental toxicology 9 (2): 105-7. PMID 2111156. Yasui M, Kato A, Kanemasa T, Murata S, Nishitomi K, Koike K, Tai N, Shinohara S, Tokomura M, Horiuchi M, Abe K (2005). "[Pharmacological profiles of benzodiazepinergic hypnotics and correlations with receptor subtypes]" (in Japanese). Nihon Shinkei Seishin Yakurigaku Zasshi = Japanese Journal of Psychopharmacology 25 (3): 143-51. PMID 16045197. Vermeeren A (2004). "Residual effects of hypnotics: epidemiology and clinical implications". CNS drugs 18 (5): 297-328. PMID 15089115. Gilmore, Heath. "Sleeping pill safety under federal review", the Sydney Morning Herald, 2007-03-11. "Sleeping Bizarre behaviour sparks Stilnox battle", the Sydney Morning Herald, 2008-21-01. Heavey, Susan. "FDA orders stronger warnings on sleep drugs", ABC News, 2007-03-14.